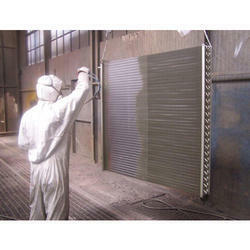 Backed by our skilled professionals, we are involved in providing Metal Protection Coating Service. We are engaged in offering qualitative Metal Coating Services to our valuable clients. We are offering these services in an excellent manner within scheduled time-frame. The provided services are performed by our highly qualified professionals using excellent quality machines and equipments as per the set industrial norms. Industries Served: Paper Mills, Steel Industry. Textile industry ETC. The basics of metallizing consists of depositing of molten metal onto a substrate & finally adheres to it. Depending upon the selection of material, these can serve a wide range if applications such as Hard Facing, Metal Rebuilding, Decorative Purpose, Corrosion Resistant, Surface Roughening / Gripping. We can offer PUD for multiple applictaions, pl. adv. your interest for the same. Avail from us a flawless range of galvanizing lines that is custom made to suit the requirements of our clients. While developing these products, we make sure of high-grade raw material. Moreover, we test the products for various parameters before the final delivery. We provide different types of coatings which includes, Copper Antique Finishes. We are growing day by day as an eminent manufacturers and exporters of superior range of Classic Monitor. Our collection is electronically controlled for ease of usage. It requires less maintenance and operation. Our range is checked on various parameters such as quality, durability and reliability. These are packed using qualitative packaging materials to ensure defect fee delivery. BRITEX – CHROME SALT: Conventional Chrome plating salt. BRITEX – HC: Self catalysted Chrome plating salt for heavy deposition. BRITEX – (DC) SRHS: Self regulated high speed Decorative Chrome plating salt. BRITEX – ANTIFUME1: Liquid fume suppressor for Chrome plating process. 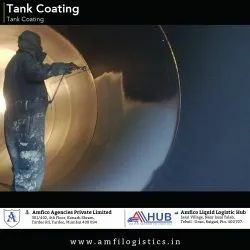 Being counted amongst the leading companies we are involved in offering an extensive range of Manganese Steel Coating. Offered products are highly acknowledged among our clients for their reliability and abrasion resistant nature. . We offer our products in market at pocket friendly prices. We have readily stock in Epoxy zinc primer for Metal - 2 component and PU Top caot - White G-20 for Metal, if any body need this item, pls let us know for quote. We at Sinex Chromes India manufacture silver metalize on any substrates to give a mirror like finish.